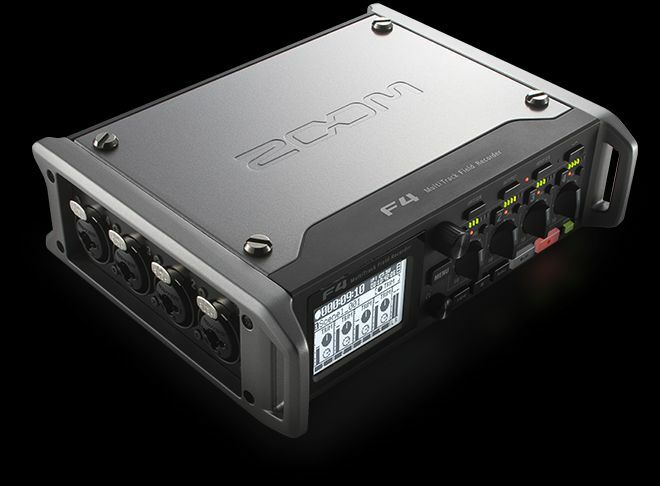 A common criticism of the Zoom F8 and the Zoom F4 is the poor pre amp on the headphone output, as if you crank it a bit to high then you can definitely hear the noise floor creeping. Personally I feel this criticism of the F8/F4 is a bit overblown. Because this noise you hear doesn’t at all exist on the recorded files (or in the main / sub outputs). Thus 9 times out of 10 I am perfectly happy with the pre amps on the Zoom F4/F8, at least when it comes to normal dialogue levels recorded on location (at least not with my set up. Although others with headphones that need a greater output to drive them do have a legitimate concern). I’d love to hear some personal user experiences from taking this approach to monitoring (with the main or sub out from the F4/F8, which are much much cleaner), instead of using the headphone output for monitoring. The biggest downside is that all the interaction feedback (such as the beep you’d hear when you start/stop recording) is completely gone if you’re not using the headphone output, likewise the PFL buttons become 100% useless (which would be a major downside for me, as I’m frequently using them while recording and during playback). However, this should be an easy firmware fix for Zoom to have a toggle options in the settings as to if the effects to the headphones (start/stop beeps, & PFL button pushes) should be applied equally to the main/sub outputs as they also are to the headphone output. This firmware update should be seriously considered by Zoom as it would “fix” the biggest (or at least the most common, even though I personally feel it is a bit overblown) objection to the Zoom F4/F8: their poor headphone amp.